Interestingly, these two movies were both released by NetFlix. I’m not sure what to make of that, other than the theatrical experience clearly isn’t key to my enjoyment. In fact, I believe the ready access which allowed me to revisit these films right away contributed to my admiration. I dedicated a whole week’s worth of posts to the Coen Brothers’ Western anthology, which explores themes of fate and mortality with the Coens’ usual dark humor and quiet grace. While I’m pleased the film earned a trio of Oscar nominations last week, I still think it failed to earn the praise it deserves. 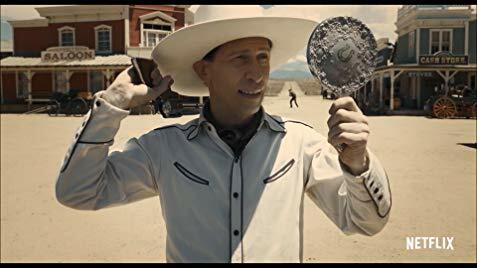 That’s nothing new for the Coens — see The Big Lebowski and O Brother Where Art Thou?, for starters — and I expect, like those films, Buster Scruggs will be revisited and better appreciated years from now. I wrote an initial review of Roma shortly after seeing it, then followed up with a lengthy exploration of its themes and symbolism after watching it twice more. The latter post has quickly become the most-visited entry on my blog, which is heartening. A whole lot of people out there are Googling “symbolism in Roma” and similar phrases. The same spirit driving those viewers to seek out more information drove me to write that post in the first place, and drives me back to the film over and over again. Roma is so rich in so many ways. It’s a gift, from Cuaron to his longtime housekeeper, but also from Cuaron to us. What I love about my top ten of 2018 is how wide-ranging it is in terms of genre. No two titles are remotely alike. I’ve featured an austere art film, a superhero movie, a slice-of-life dramedy, a romantic comedy, a costume drama, an animated film, a documentary, a musical, a western, and a foreign film. How wonderful that today’s filmmakers are releasing compelling work in all of those very different lanes. Please post your own top ten below, if you are so moved. And thank you for reading about mine. This entry was posted in song of the day and tagged Beck, Roma, Tarantula, The Ballad of Buster Scruggs. I have an 11th grade student current writing a comparison essay on the female characters in Roma, and I couldn’t help but notice the recent activity on your blog post. I was curious if she wound up stumbling upon your blog as she worked on her essay. :). The movies among the list that most surprised me by their originality, wit, and humanity would be Searching, Blindspotting, The Oath and Spider-Man into the Spider-Verse, so those would all make my final hypothetical commentary for sure. Thanks for sharing and giving us the opportunity to do the same. As for the question about where you first saw them… I think it has much more to do with discovery than screen size. The fact that we were among the first to seek out and discover Searching, Blindspotting, and The Oath certainly adds to my love for those films. Nobody yet knew how wonderful they were, and we were among the early fans who “got” them. Had my discovery been online, I expect I would have felt the same way about them, though watching each on big screens definitely added to that impact. Meanwhile, you came to each of those films quite late, where you were among the very first viewers of your top two films. As we’ve surmised in the past, I still think our expectations wLking into the theater/plopping down on our couch are the single biggest factor to influence our subsequent appreciation of the film. I enjoyed everything on your list, minus the two I haven’t seen (Boy Erased and Can You Ever Forgive Me?). The one I really wanted to fit into my top ten was Searching, which did such a great job of telling an effective, emotional story in a very creative and constricting format. I’m eager to see The Wife, Bad Tiimes at Rl Royale and Minding the Gap, as those are the films I most suspect could crack my top 20. I’ve seen more movies from 2018 than any year in recent memory, but I still have a ton I want to catch up with, starting with these: Burning, Shoplifters, Can You Ever Forgive Me?, Bad Times at the El Royale, The Death of Stalin, Cold War, Widows and Wildlife. That could be a top ten list (minus two) right there. Which means we have no overlap just yet in our very top list, but First Reformed is sitting pretty at #11 and Black Panther at #13. It’s been a really stellar movie year. Oh and I also very much want to see Burning, Shoplifters and Cold War as well. I want to see Wildlife too!